Sara Coleridge (1802 - 1852) was an English author, poet, translator, and only daughter of poet and philosopher, Samuel Taylor Coleridge. 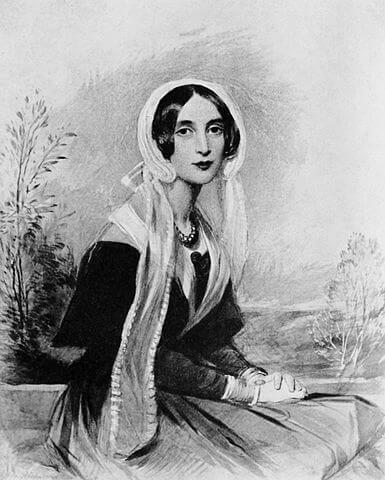 Sara had numerous literary influences including her uncle Robert Southey, the romantic poet, who lived with the Coleridge family, and their neighbors, the William Wordsworth family. Coleridge, with the Southey library at her disposal, learned Greek and Latin classics, and could speak and read French, German, Italian and Spanish before she turned twenty-five. She completed a number of translations from Spanish related to Robert Southey's Tale of Paraguay . Her translations from medieval French include Loyal Serviteur. Coleridge's poetry includes a mother's loss in The Child , and O Sleep, My Babe .